The ‘Egnatia Railway’ is one of the most important railway projects of the decade. At 565 km long, once completed it will extend between the Eastern and the Western ends of Northern Greece, linking Alexandroupolis to Igoumenitsa. The new Thessaloniki-Amfipoli section has entered the design stage, which should be finalized by the end of 2019. At Maccaferri we are ready to help provide the project contractors with a variety of high-quality products and technical solutions. The ‘Egnatia Railway’ marks a step towards the next generation infrastructure for Greece. The project involves the creation of a 565km-long railway corridor connecting Alexandroupolis to Igoumenitsa, which extends between the Eastern and Western ends of Northern Greece. A significant number of people will have access to the new and cost effective means of transportation. The project will result in significant reduction of travel time between Western Macedonia and Athens and will optimise the use of the Athens-Thessaloniki rail corridor. 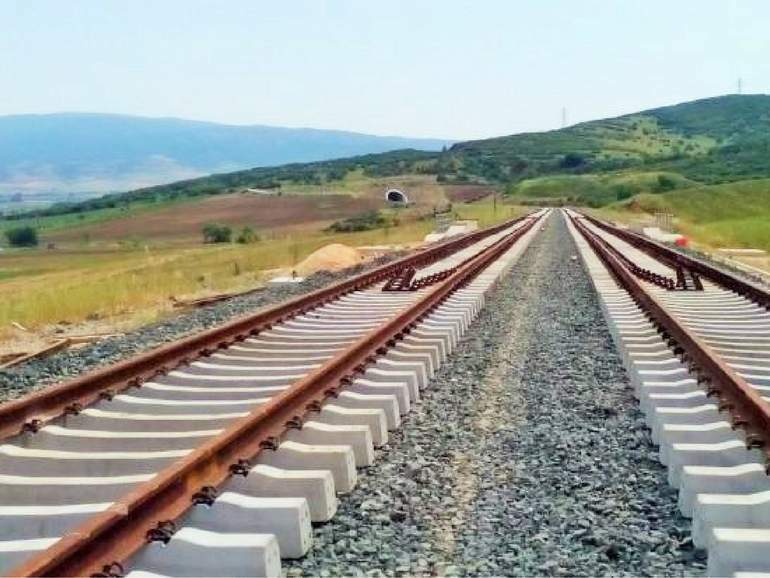 The ‘Egnatia Railway’ will create a continuous method of transport connecting all modes of transport (4 ports, at least 6 logistics hubs, 6 airports) and will help ports and their respective connections for cargo activity more efficient. It will facilitate transport of significant volumes of goods in both the domestic and international markets of the region and beyond. Moreover, it will help promote the use of Alexandroupolis Port as the European gateway for connections with Bulgaria, Romania and the Black Sea and as an alternative to the existing sea gate through the Dardanelles Strait. OSE, the company managing the Greek National Railway Infrastructure, has initiated the design phase for the 180km-long Thessaloniki-Amfipoli rail section, a new route starting from Thessaloniki and heading to the new ports of Kavala and Amfipoli. The estimated cost of this section is 1billion euros and it will cross through some challenging terrain. It is expected that the project design will be finalized by the end of 2019. The following section, linking Amfipoli to Toxotes Xanthis, will be 35 km long and is planned to be located south of the existing line. The initial design has already been carried out by Ergose; the environmental licenses have been approved and the project has now entered ‘Stage B’, which consists in securing the necessary funds for its implementation, accounting for approx. 250 million euros. Maccaferri can help the designers of this project by providing highly-reliable technical solutions, ensuring that people will travel in safety on the ‘Egnatia Railway’. For further information on our solutions, please contact us.